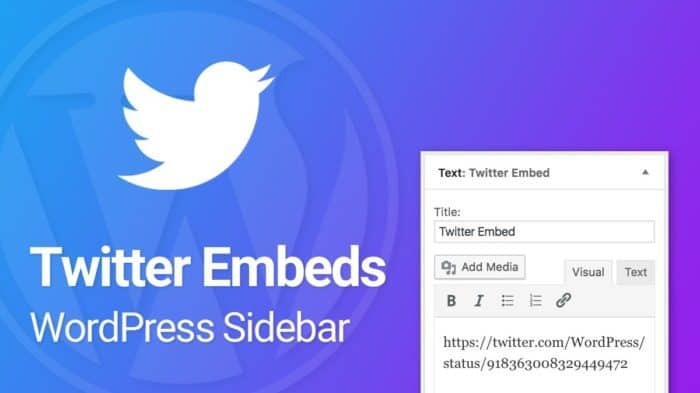 In this article, we’re going to take a look at the quickest and easiest way to embed a Facebook post in your WordPress sidebar. We’re going to focus on using a method that is built into WordPress core, and does not require any WordPress plugins. You can embed Facebook posts from both people & Pages, but the posts must be Public. If they are only shared with friends, or a particular audience, they cannot be embedded in your WordPress sidebar. All you’ll need is the post URL, which I’ll show you how to locate in this article. 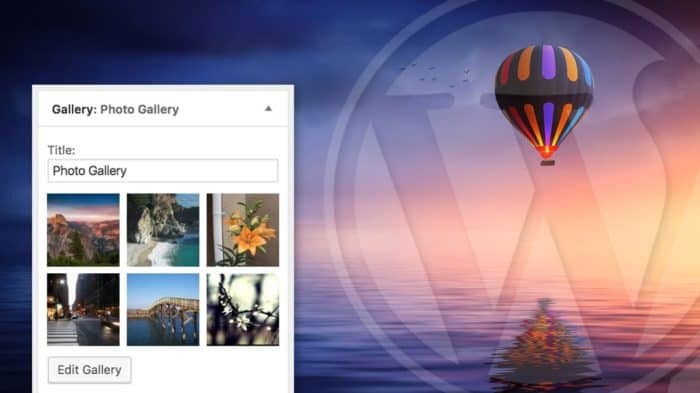 From there, we’re going to use WordPress’ oEmbed feature. 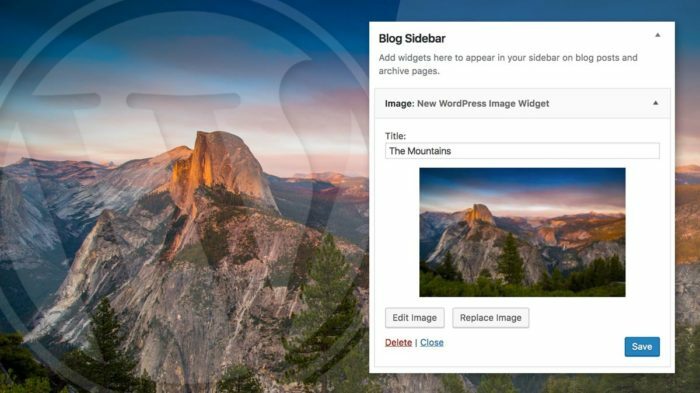 To embed a Facebook post in your sidebar using oEmbed, all you need to do is paste the post URL into a WordPress Text widget. NOTE: This method requires WordPress 4.9 or later. First, navigate to your Facebook feed, and find the post you want to embed. Then, find the date & time that the post was published. In this example, “October 17 at 12:50pm” is the post date/time. 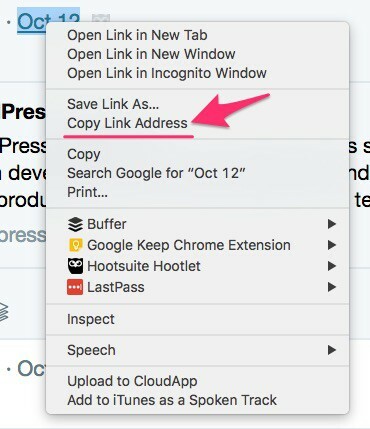 Either way, be sure the Facebook post URL is copied to your clipboard. 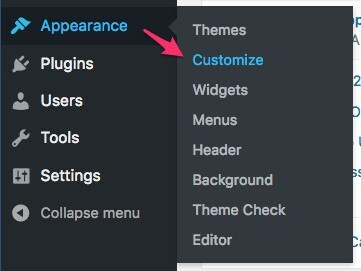 Now head back into your WordPress admin area, and navigate to Appearance > Customize. Click on Widgets, and find the widget that you’d like to add your post to. Depending on your theme, you could have several widgets listed. Now click the + Add a Widget button. Type in “text” in the search box to quickly locate the Text widget. Add this widget to your sidebar by clicking on it. Now simply paste the Facebook post URL into the Text widget, and watch it magically appear in your sidebar. The final step is to publish or schedule your post to go live in your sidebar. Choosing Publish will make the post appear immediately, or you can Schedule it to go live at a later date. How to publish or schedule your FB post. Read more about scheduling WordPress changes in the Customizer. 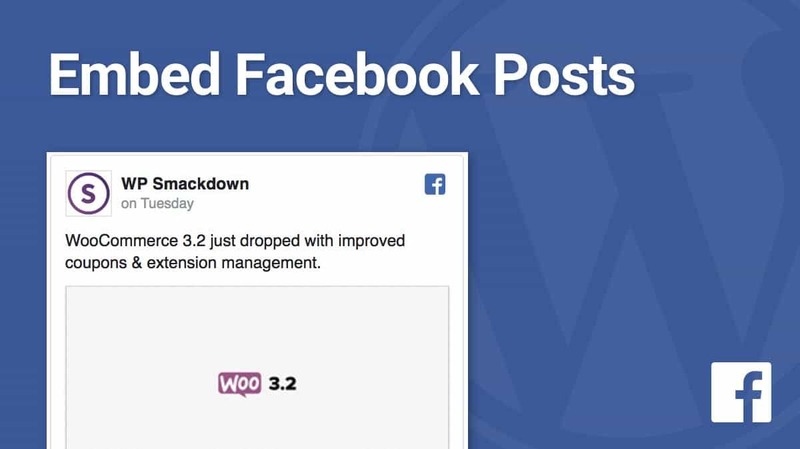 WordPress developers can also consider using Facebook’s official embedded posts plugin. 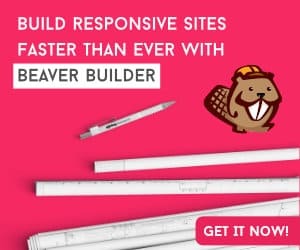 If you have any questions about embedding a Facebook post in your WordPress sidebar, please let me know in the comments.